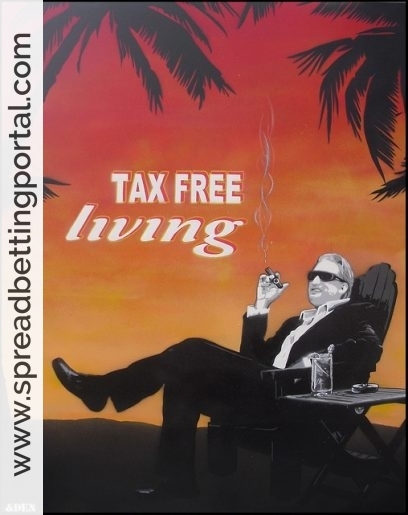 SpreadBettingPortal.com > FAQs > Is spreadbetting tax-free? If you have money in a bank institution, stocks or unit trusts these will return you maybe 5% a year – and that’s before accounting for and deducting taxes. However, if you get lucky spread betting can easily return you 10% in a week – that’s 500% a year – completely and gloriously tax-free. ‘The United Kingdom is probably one of the best tax jurisidications in the world for successful gamblers. In the UK, HM Customs and Excise recognises financial spread betting transactions as bets, rather than investments. So if you are a UK taxpayer, capital gains tax and income tax don’t apply. I’ve had a few discussions with Financial Controllers of two very large spread betting companies and they both reckon it is highly unlikely that a tax will be introduced. The reason being that if they introduce a CGT element to it, then they will have to allow deductions for spread betting losses (too many day traders are known to lose!). Essentially, in order to tax spread betting profits, HMRC would need to say it comes within one of the taxing schedules (e.g. rental income, trading income etc.). If HMRC argue that financial spread betting gains should be taxable on the basis it is trading income then they would have to allow losses from within the same trade (meaning you would get a deduction for losses incurred spread betting, but not, for example, on interest paid on your mortgage). However, if HMRC considers that your full time occupation is trading, then regardless of what the spread betting companies say, you may be liable to receive a tax assessment. It will then be up to the individual to prove to HMRC that he/she does not have a tax liability. This is just the type of argument that has been raging between the Inland Revenue (as it was) and taxation specialists for years. From what I gather it all depends on how you classify your trading activity…. If you are betting for entertainment then it is tax free (via spread betting account). If you are investing (and holding trades over weeks) for growth then you are subject to CGT. If you are trading (especially intr day) or speculating then you are subject to income tax. If you have no job or regular profession – then it would be hard trying to argue that you were betting and not trading. Although you could probably get away with quite a lot of “betting” as long as you also declare some income. Do everything possible to stay under the radar, so you’re a complete mug if you think it’s cool to drive a big flashy car with a private number plate (the motorway Police have long reported to the Inland Revenue private plates attached to cars they note, especially very expensive ones). Keep quiet when it comes to friends and family. Just tell them you trade the stock market using a broker (most won’t understand anyway but keep the phrase ‘financial spread betting’ out of the way). The same stats are true for all aspects of ‘trading’ the stock market. 80% of people who buy and sell shares also lose money. The same kind of individuals will win, i.e. traders with a good strategy and discipline . It does not matter which way you play the markets i.e spread betting or share trading . 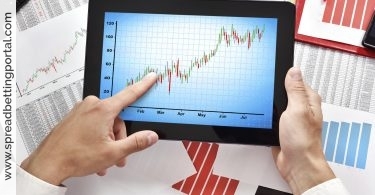 Are my spread betting profits really tax-free? Yes, There is no doubt about it. Spreadbetting will remain tax free so long as you earn a subsistence income that you pay tax on. The flip side to having this tax free extra income is that you can’t offset any losses against tax that you incur from spreadbetting. Spread betting providers are licensed bookmakers and there is no income or capital gains tax on betting profits under current UK law. Note that if you trade futures contracts, you not only pay commission to your brokerage company, but also Capital Gains Tax to HMRC if appropriate (no stamp duty or income tax). 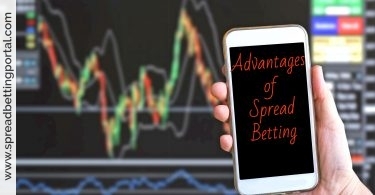 If you trade futures contracts with a spread trading firm on the other hand, betting duty is paid by the spread trading provider. All overheads/costs are included in the slightly wider than market price traded upon, and profits are excluded from CGT, albeit losses cannot be offset against profits elsewhere either. However if you really want to investigate this seriously, consult your accountant. And do keep a sizable chunk of your profits saved – nothing like having a sensible cash stash anyway, it’s only prudent.